Introduction to Fabric.js. Part 3. We've covered most of the basics in first and second parts of this series. Let's move on to the more advanced stuf! First thing we'll talk about is groups. Groups are one of Fabric's most powerful features. They are exactly what they sound like — a simple way to group any Fabric objects into a single entity. Why would we want to do this? To be able to work with those objects as a single unit, of course! Remember how any number of Fabric objects on canvas can be grouped with the mouse, forming a single selection? Once grouped, the objects can all be moved and even modified together. They form a group. 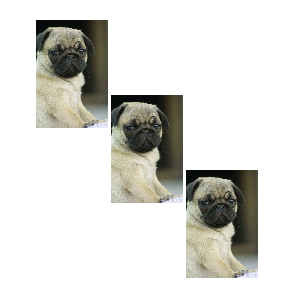 We can scale that group, rotate, and even change its presentational properties — color, transparency, borders, etc. This is exactly what groups are for, and every time you see a selection like this on canvas, Fabric creates a group of objects implicitly, behind the scenes. It only makes sense to provide access to working with groups programmatically. This is what fabric.Group is for. First, we created a "hello world" text object. Setting originX and originY to 'center' will cause it to be centered within the group; by default group members are oriented relative to the top-left corner of the group. 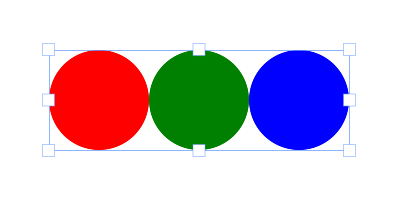 Then, circle with 100px radius, filled with "#eef" color and squeezed vertically (scaleY=0.5). We then created a fabric.Group instance, passing it array with these two objects, and giving it position of 150/100 and a -10 angle. Finally, the group was added to canvas as any other object would be (with canvas.add()). And voila! You see an object on canvas, that looks like a labeled ellipse. Notice how in order to modify that object, we simply changed properties of a group, giving it custom left, top and angle values. You can now work with this object as a single entity. One important thing you've probably noticed by now is that objects in group are all positioned relative to the center of a group. When we changed text of text object, it stayed centered even after changing its width. If you don't want this behavior, you need to specify objects' left/top coordinates. In that case, they will be grouped together according to those coordinates. So which other methods are available when working with groups? There's getObjects() method, which works exactly the same as fabric.Canvas#getObjects() and returns an array of all objects in a group. There's size() which represents the number of all objects in a group. There's contains() which allows to check if a particular object is in a group. There's item(), which we saw earlier, allowing to retrieve specific object in a group. There's forEachObject(), once again mirroring fabric.Canvas#forEachObject, only in relation to group objects. Finally there's add() and remove() method to add and remove objects from the group accordingly. As soon as you start building a stateful application of some sort, perhaps allowing users to save results of canvas contents on a server, or streaming contents to a different client, you'll need canvas serialization. How else are you to send canvas contents? Of course, there's always an option to export canvas to an image, but uploading an image to a server is certainly quite bandwidth-heavy. Nothing beats text when it comes to size, and that's exactly why Fabric provides an excellent support for canvas serialization/deserialization. We're using ES5 JSON.stringify() method, which implicitly calls toJSON method on passed object, if that method exists. Since canvas instance in Fabric has toJSON method, it's as if we called JSON.stringify(canvas.toJSON()) instead. Notice the returned string that represents empty canvas. It's in JSON format, and essentially consists of "objects" and "background" properties. 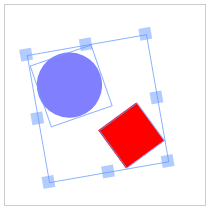 "objects" is currently empty, since there's nothing on canvas, and background has a default transparent value ("rgba(0, 0, 0, 0)"). As one would expect, canvas representation now reflects new background color. Now, let's add some objects! Woah. At first sight quite a lot changed, but looking closer we see that it's newly-added object that's now part of "objects" array, serialized into JSON. Notice, how its representation includes all of its visual traits — left, top, width, height, fill, stroke, and so on. As you can see, toJSON output is essentially a stringified toObject output. Now, the interesting (and useful!) thing is that toObject output is smart and lazy. What you see inside "objects" array is the result of iterating over all canvas objects and delegating to their own toObject method. fabric.Path has its own toObject — that knows to return path's "points" array, and fabric.Image has its own toObject — that knows to return image's "src" property. In a true object-oriented fashion, all objects are capable of serializing themselves. As you can see, the objects array now has a custom representation of our rectangle. This kind of overwrite is probably not very useful — although brings the point across — so how about we instead extend rectangle's toObject method with additional property. We extended object's existing toObject method with additional property — "name", so that property is now part of toObject output, and as a result appears in canvas JSON representation. One more thing worth mentioning is that if you extend objects like this, you'll also want to make sure object's "class" (fabric.Rect in this case) has this property in "stateProperties" array, so that loading canvas from string representation would parse and add it to an object correctly. You can mark an object as non exportable setting excludeFromExport to true. 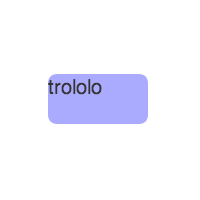 In this way some helper objects you can have on canvas will not be saved during your serialization. Just like with toJSON and toObject, toSVG — when called on canvas — delegates its logic to each individual object, and each individual object has its own toSVG method that is special to the type of object. If you ever need to modify or extend SVG representation of an object, you can do the same thing with toSVG as we've done with toObject. The benefit of SVG representation comparing to Fabric's proprietary toObject/toJSON is that you can throw it into any SVG-capable renderer (browser, application, printer, camera, etc.) and it should just work. 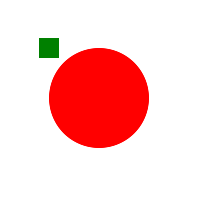 With toObject/toJSON, however, you would first need to load it onto canvas. Speaking of loading things on canvas, now that we can serialize canvas into an efficient chunk of text, how would we go about loading back onto canvas? Similarly to serialization, there's two ways to load canvas from a string: from JSON representation, or from SVG one. When using JSON representation, there's fabric.Canvas#loadFromJSON and fabric.Canvas#loadFromDatalessJSON methods. When using SVG, there's fabric.loadSVGFromURL and fabric.loadSVGFromString ones. Notice that first 2 methods are instance ones, and are called on canvas instance directly, whereas last 2 methods are static ones and are called on "fabric" object rather than on canvas. ..and that's only 5th (!) part of the entire output! What's going on here? Well, it turns out that this fabric.Path instance — this shape — consists of literally hundreds of bezier lines dictating how exactly it is to be rendered. All those ["c",0,2.67,-0.979,5.253,-2.048,9.079] chunks in JSON representation correspond to each one of such curves. And when there's hundreds (or even thousands) of them, the canvas representation ends up being quite enormous. Well, that's certainly smaller! So what happened? 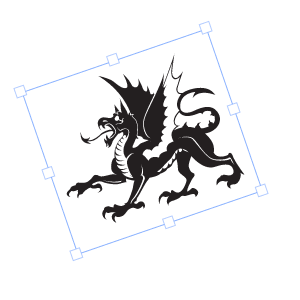 Notice how before calling toDatalessJSON, we gave the path (dragon shape) object "sourcePath" property of "/assets/dragon.svg". Then, when we called toDatalessJSON the entire humongous path string from previous output (those hundreds of path commands) was replaced with a single "dragon.svg" string. You can see it highlighted above. When working with lots of complex shapes, toDatalessJSON allows us to do reduce canvas representation even further and replace huge path data representaion with a simple link to SVG. And now getting back to loadFromDatalessJSON method... you can probably guess that it simply allows to load canvas from a dataless version of canvas representation. loadFromDatalessJSON pretty much knows how to take those "path" strings (like "/assets/dragon.svg"), load them, and use as the data for corresponding path objects. 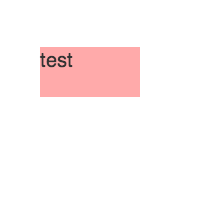 First argument is the SVG string, second one is the callback function. The callback is invoked when SVG is parsed and loaded and receives 2 arguments — objects and options. objects contains an array of objects parsed from SVG — paths, path groups (for complex objects), images, text, and so on. In order to group all of those objects into a cohesive collection, and to make them look the same way as they are in SVG document, we're using fabric.util.groupSVGElements passing it both objects and options. In return, we get either an instance of fabric.Path or fabric.Group, which we can then add onto canvas. fabric.loadSVGFromURL works the same way, except that you pass string containing URL rather than SVG contents. Note that Fabric will attempt to fetch that URL via XMLHttpRequest, so the SVG needs to conform to the usual SOP rules. Since Fabric is built in a truly object-oriented fashion, it's designed to make subclassing and extension simple and natural. As you know from 1st part of this series, there's an existing hierarchy of objects in Fabric. All 2D objects (paths, images, text, etc.) inherit from fabric.Object, and some "classes" — like fabric.IText — even form 3-level inheritance. So how would we go about subclassing one of the existing "classes" in Fabric? Or maybe even creating our own? So now that we went over creating our own "classes" and "subclasses", let's see how to work with already-existing Fabric ones. For example, let's create a LabeledRect "class" which will essentially be a rectangle that has some kind of label associated with it. 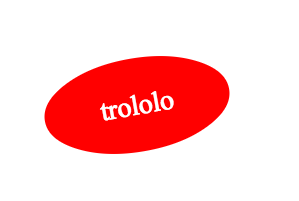 When rendered on canvas, that label will be represented as a text inside rectangle. Something similar to previous group example with circle and text. As you're working with Fabric, you'll notice that combined abstractions like this could be achieved either by using groups or by using custom classes. It seems like there's quite a lot going on here, but it's actually pretty simple. First, we're specifying parent "class" as fabric.Rect, to utilize its rendering abilities. Next, we define "type" property, setting it to "labeledRect". This is just for consistency, since all Fabric objects have type property (rect, circle, path, text, etc.) Then there's already-familiar constructor (initialize) in which we're utilizing callSuper once again. Additionally, we set object's label to whichever value was passed via options. Finally, we're left with 2 methods - toObject and _render. toObject, as you already know from serialization chapter, is responsible for object (and JSON) representation of an instance. Since LabeledRect has the same properties as regular rect, but also a label, we're extending parent's toObject method and simply adding label into it. Last but not least, _rendermethod is what's responsible for actual drawing of an instance. There's another callSuper call in it, which is what renders rectangle, and additional 3 lines of text-rendering logic. On this note, I'm wrapping up the 3rd installment of this series, in which we dived into some of the more advanced aspects of Fabric. With help of groups, classes and (de)serialization you can take your app to a whole new level.